This masterful final play from one of Britain's greatest dramatists is peppered with musical references. 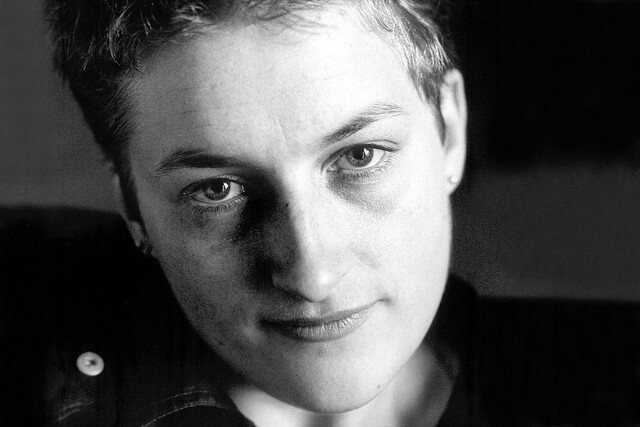 It is perhaps surprising that Sarah Kane’s last play 4.48 Psychosis has never before been produced as a piece of music theatre. The script is drenched in sound. Kane’s text recurrently situates itself in the domain of musical expression, aural experience and dance: ‘I sing without hope on the boundary’, ‘this is the rhythm of madness’, ‘I shall hang myself / to the sound of my lover’s breathing’. The script also carries the echoes of popular song titles. Shirley & Company’s 1970s disco hit haunts the line ‘shame shame shame’, but the bouncy vivaciousness of the original is missing. There is another probable reference to glam metal hit ‘Dancing on Glass’ by Mötley Crüe; its catchy edge is also gone, but the song’s spirit resonates with 4.48 Psychosis – the aching need, the dangerous desire, the appointment with death. However, it is Kane’s careful orchestration of an affective spectatorship that forges the play’s strongest links with music. The text does away with many conventions of dramatic playwriting: it does not offer a list of characters, it does not assign lines to a specific number of speakers, it does not allow a clear plot to unfold. Kane’s writing is composed of an assemblage of materials that frustrate any rational or complete interpretation. There are opaque and highly poetic sections, real or imagined dialogues between unknown interlocutors, number sequences, Biblical passages. Context is missing and there are no indications of time or space. Like a musical piece, the text of 4.48 Psychosis invites us not to understand the external reality of its speakers, but to feel the pulse of images, timbres, rhythms, patterns. It requires that we grasp emotions through cadences, often beyond the meaning of words. Kane’s insistence that her work should only be staged in the theatre has meant that the text for 4.48 Psychosis has found its way into music just once before: in a track on the album Waiting for the Moon, by British indie rock band Tindersticks. This 2003 recording is just over five minutes long, but the self-effacing and obsessive energy of Kane’s original text is intensely present. Here, vocalist Stuart Staples delivers a selection of lines extracted from the play with fragile detachment; his ragged voice is almost buried under increasingly dense layers of guitar and violin. Not so in Philip Venables’s opera. Instead of proposing a solitary voice, Venables astutely picks up on the polyphony in Kane’s writing, and builds a full-length performance for an ensemble of six voices and twelve players. On the page, 4.48 Psychosis resists the notion that each of us is a clearly distinct and autonomous being. It is not just that the lines are meticulously equivocal about who the speaker might be. It is rather that the text has been shaped by the insight that our sense of self is composed of our relationships with others, that there are traces of them within us – even when they are gone or pushed away. This vision is materialized in Venables’s opera, which presents a character that is collectively embodied by every performer onstage. This character lingers in the space after the players have stopped playing. It shimmers in the vibrations of sound. 4.48 Psychosis runs from 24 April to 4 May 2018. Tickets are available. The production is a co-commission with the Guildhall School of Music and Drama, is produced in association with Lyric Hammersmith and is given with generous philanthropic support from the RVW Trust.